Edge Tech Corp is a leading supplier of DRAM and portable computing products, storage devices, and other experience-enhancing technology solutions. 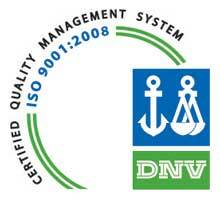 ETC received its ISO 9001:2000 certification from DNV Certification, Inc. in 1999 and has maintained its certification to current versions of the standard through the present. ISO 9001:2008, the international quality standard accepted by the majority of the world, speaks to all quality-related activities in an organization and helps ensure customers’ needs are met. Companies seek ISO 9001:2008 certification by accredited and independent third parties to focus on quality in order to gain a competitive edge and to access global markets. ETC was founded in 1986 and has since grown to become one of the world’s leading suppliers of memory upgrades and experience-enhancing technology solutions.